WiBotic offers a range of complete wireless charging systems, individual components and accessories to meet any customer’s need for size, weight and power. 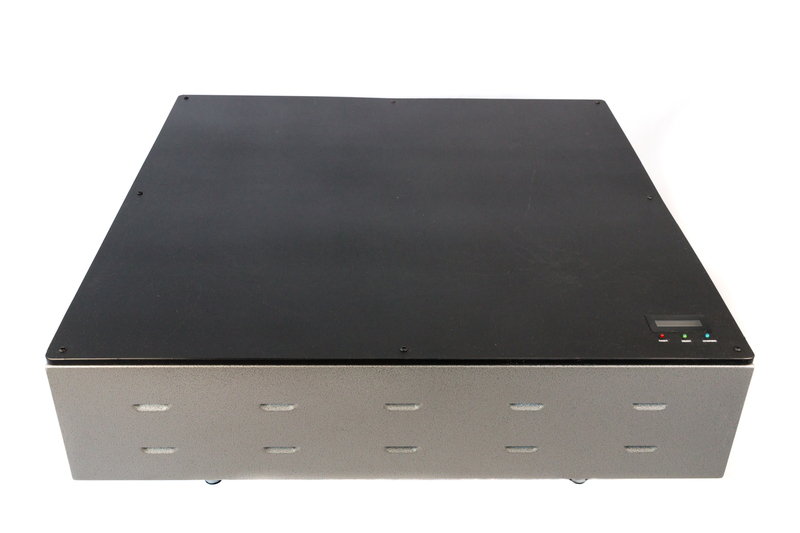 WiBotic provides off-the-shelf hardware and software systems most customers can use right out of the box. Contact WiBotic to discuss your requirements for size, weight and power – leading to the selection of components that best meet your needs. Purchase your first complete system and take advantage of WiBotic phone and/or video technical support during initial set-up and testing. After testing and initial integration, purchase complete systems or individual components. Since the system supports many-to-many operation, buy only the individual Transmitter and Onboard Charger components you need to outfit your entire fleet. If required, work with WiBotic engineers to customize components or license our technology for even deeper integration with your robotics platform. 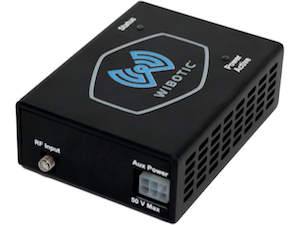 Ask us about the WiBotic power optimization service to enable proactive power management and battery monitoring to reduce operating costs for fleets, maximize fleet uptime and increase battery lifetime. 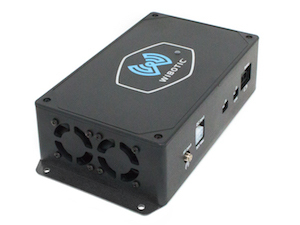 Complete WiBotic systems include everything you need to autonomously charge a single drone, robot or other battery-powered device. 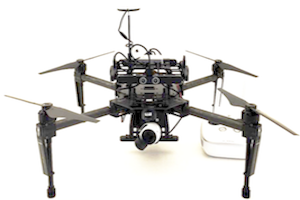 Standard systems include lightweight enclosures and are easily mounted on most drones and robots for trial purposes. 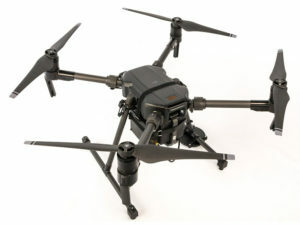 DJI systems have modified enclosures and other features that allow easy integration with popular DJI models. Offering up to 125W and 10A of power transfer, our standard low power system is optimal for drone, robot and industrial applications where the size and weight of the onboard charger is an important factor. With two size options, our high power systems offer over 250W of power for larger drones as well as mobile, marine, and industrial robots. Designed specifically for the popular DJI M200 and M210 models, this system comes with custom mounting brackets and battery interface for simple installation. Custom mounting brackets for the Onboard Charger and receiver coil make this a “plug & play” system for users of the DJI Inspire 1.0 drone. 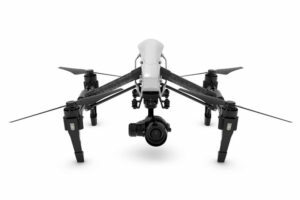 Available in either a high power or low power model, the system for the DJI S1000 includes the antenna mounting bracket and battery cables for any size or type of battery. Designed with custom mounting brackets for the antenna and onboard charger, this complete system is ready to be incorporated on your DJI M100 today. 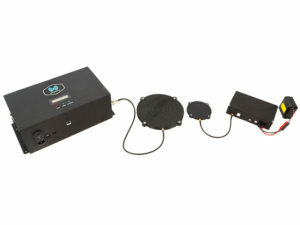 Sized to provide up to 125W of power to the battery (depending upon selected receiver) the TR-110 is a great option for most drones, smaller mobile and marine robots, and many industrial applications. 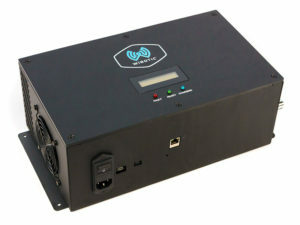 Providing over 300W of wireless power to the load/battery, the TR-300 is designed for robots with larger capacity batteries that still require rapid charging. Our smallest and lightest Onboard Charger, the OC-110 is typically used on smaller drones or with industrial applications that require 90W or less of charging power. Also relatively small and light, the OC-210 provides up to 125W of power to the battery when used with the TR-110 transmitter. 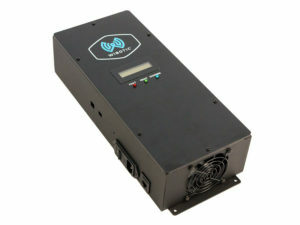 The OC-250 is designed to provide higher power levels (up to 250W and 10amps) in a small package. 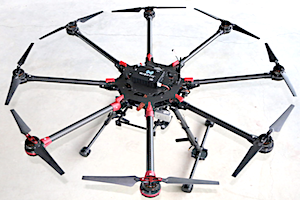 Perfect for larger drones, mobile robots and large industrial applications. 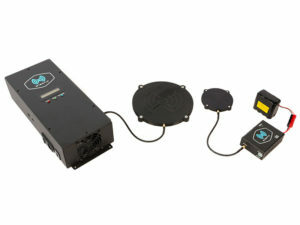 Provides over 300W and up to 30amps of power. An ideal solution for larger mobile robots with lower-voltage batteries that need high current. 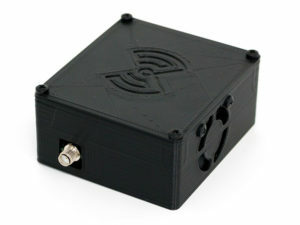 Our standard Transmitter antenna for all of our wireless charging systems. 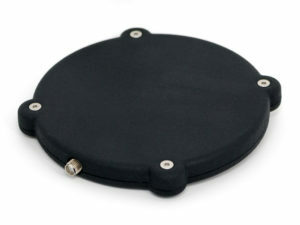 Our standard Receiver antenna, optimized for size and weight. 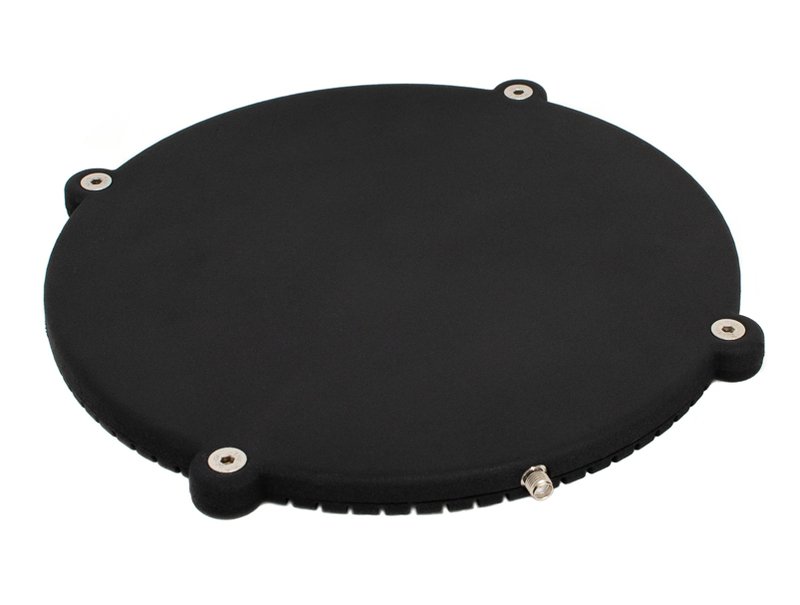 Designed to properly house and protect WiBotic Transmitter electronics (sold separately), the PowerPad offers a ready-to-deploy landing pad solution for any drone. Sometimes the standard product isn’t quite right. For those occasions, the WiBotic engineering team is standing by to assist with customization and integration. Licensing opportunities are also available. Please contact WiBotic for more information.